Catholic School Girl is a heavy indica strain that is bedecked with extra long narrow pistils that reach out from a chartreuse flower. Profuse amounts of resin and a subtle, but utterly unique nose help this plant to easily attract followers. With healthy amounts of limonene, linalool, and caryophyllene, it’s very chemo-diverse and a rockstar of high overall levels. The high is relaxing and euphoric, and is an excellent strain to end your night with. 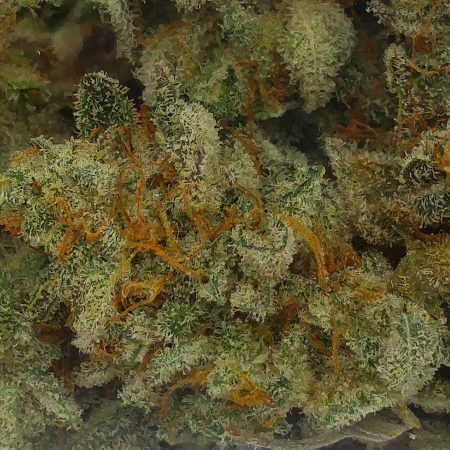 Its flavors are earthy, musky, and robust, and these bright green buds covered with thick white crystals is sure to impress!